Team Mexico is mostly comprised of athletes from or who received their training in the Riviera Nayarit; please help support them by donating at: https://www.gofundme.com/teammex?r=48663. 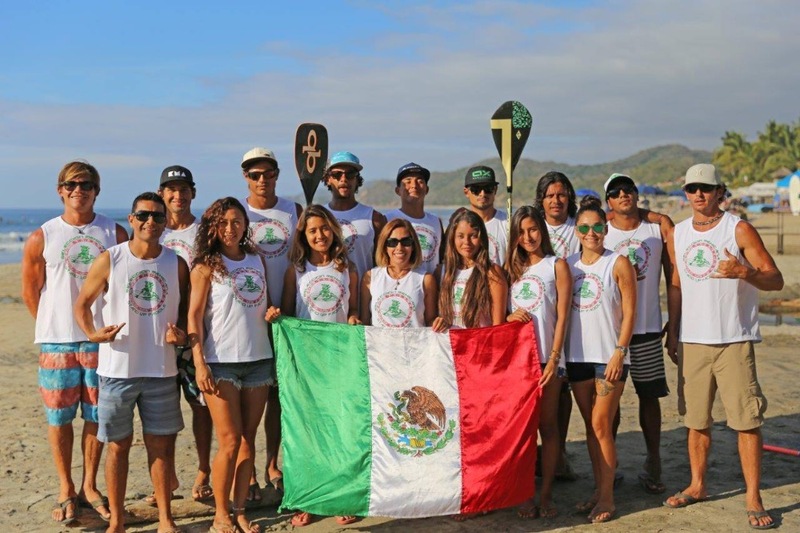 Mexico’s Stand Up Paddle (SUP) Team is hard at work preparing for the 2016 ISA (International Surfing Association) Fiji Stand UpPaddle and Paddleboard World Championship set to take place this upcoming month of November—and they need all the help they can get to make it there. The tricolor team seeks to improve on the sixth place it obtained last year and for that they will need financial support to pay for the team’s flights and accommodations. “We want everyone to know that SUP in Mexico is already an established sport, that we’re recognized as a powerhouse on an international level and we want to continue to grow. We want the next generations to come take our place and we’re only going to make it if we can count on the support of our country’s families, its citizens and its communities,” added Stalla. Among the top draws for this year is Fernando Stalla, team captain and SUP pioneer in Mexico; Javier “Bicho” Jiménez, silver medalist in the 2015 Long Distance Race; Felipe “Bodoque Hernández,” bronze medalist in the 2015 SUP Surfing competition; and Felipe “Pipe” Rodríguez, another finalist in last year’s SUP Surfing heats. Alejandra Brito and promising young surfer, Erika Benítez, were among the top women on the team. Nearly all of Team Mexico is made up of athletes from or who lived in the different towns of the Riviera Nayarit, including Sayulita, Lo de Marcos and Punta de Mita, among others. To help them on their way to Fiji 2015 you can donate at the Oxxo convenience store in your neighborhood to account 4766-8403-0355-1795 or directly at the webpage: https://www.gofundme.com/teammex?r=48663.